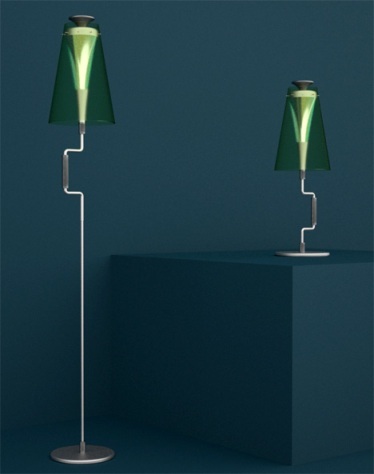 Efrain E. Velez has designed a new eco friendly wind up lamp. Named the KRANK (it will become clear soon!) a few turns of the handle can give you between 40 and 60 minutes of light. The KRANK is made from recycled parts and after turning the handle, in much the same way as an old handheld drill it produces the light using the process of magnetic induction. Although I like the design from a distance, once you get closer and see the handle it is not quite so appealing… Due to ship next spring, will you be buying one?